Mt. 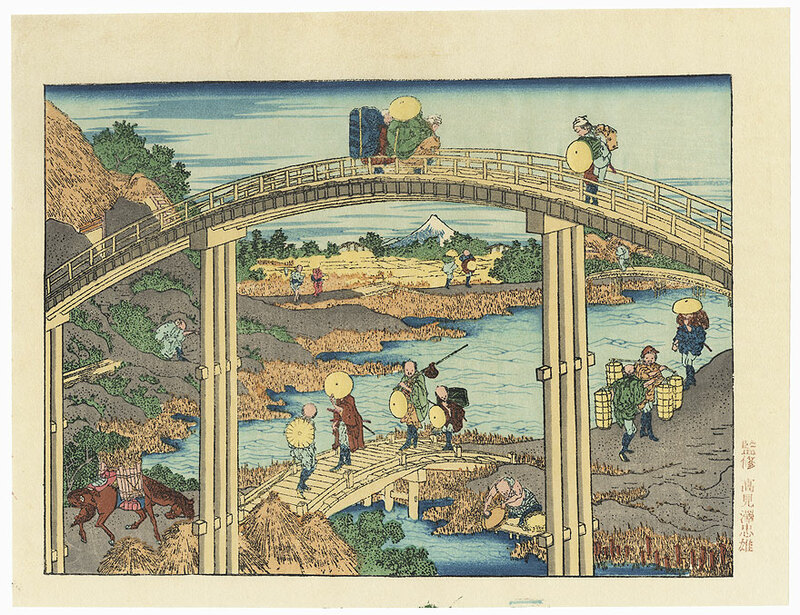 Fuji from the Seven Bridges - Terrific Hokusai print of peasants and travelers going about their daily business. 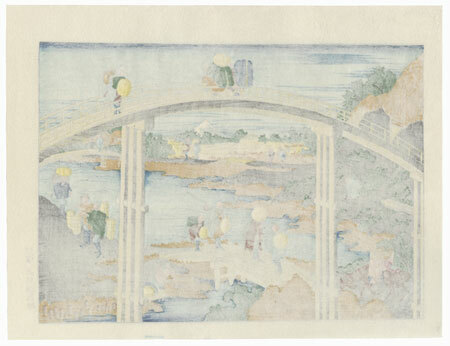 A tall arched wooden bridge frames a view of smaller bridges over the water and distant fields, with the snow-capped peak of Mt. Fuji rising along the horizon. 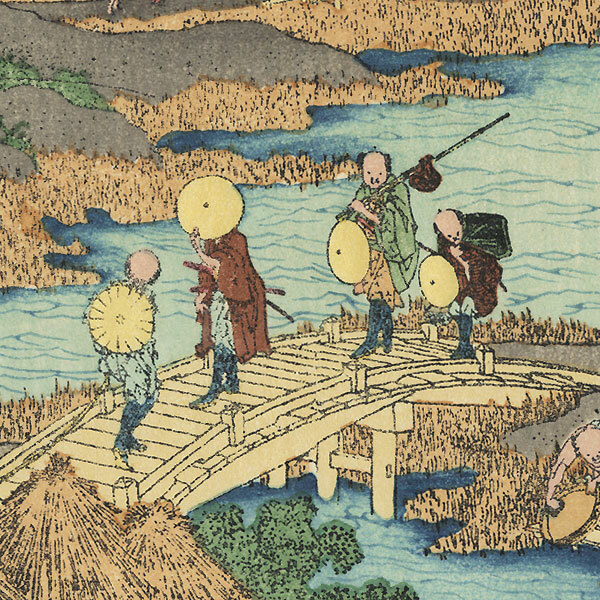 Wonderful color and detail in this interesting scene.